Welcome to STATUE M A R V E L S! All times are GMT -3. The time now is 09:24:13 AM. The Chelonian Warrior shows the intricate detail that Erick adds to his characters and truly a glimpse of his talent and imagination. 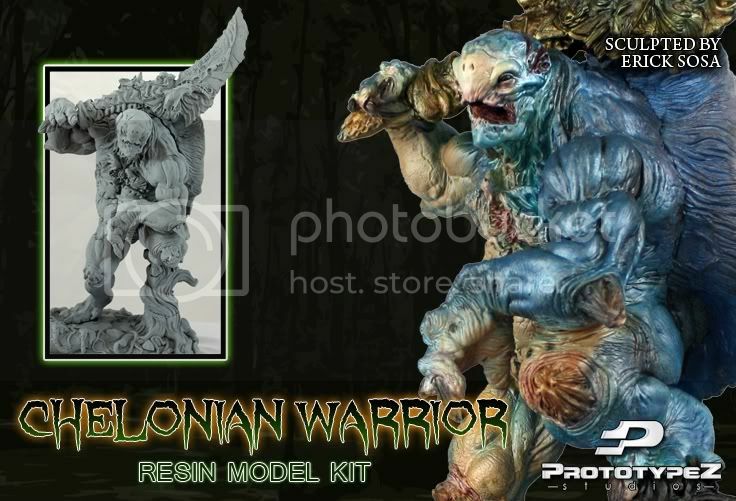 This behemoth was sold earlier as a kit but now with PrototypeZ Studio, the Chelonian Warrior will be a very limited and numbered Resin kit. Only 200 of this massive turtle will be produced and will become the anchor for Erick's new original line entitled: Invocation of the Guardians. An exciting exclusive will be available for the first 50 orders since they will contain one of six parts that will form a mystery creature. This mystery creature will not be available for purchase. Chelonian Warrior will be available for shipping by end of March.